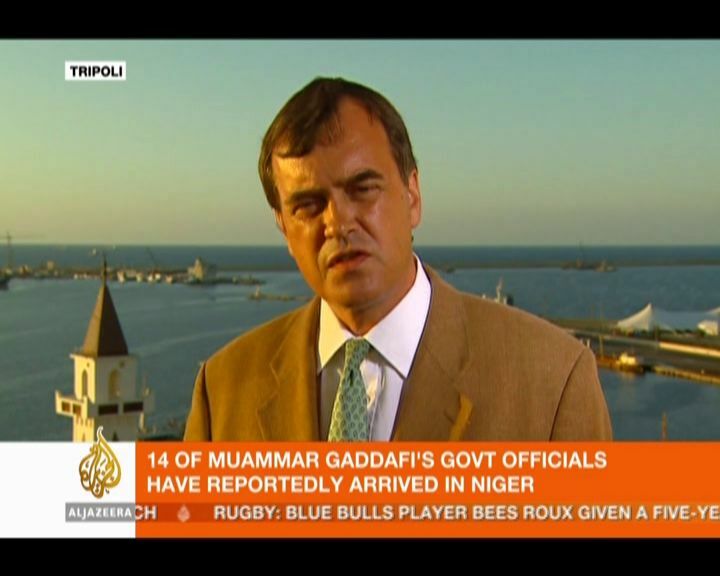 The minister of justice of Niger stated that Gadafi is not in [his] country. 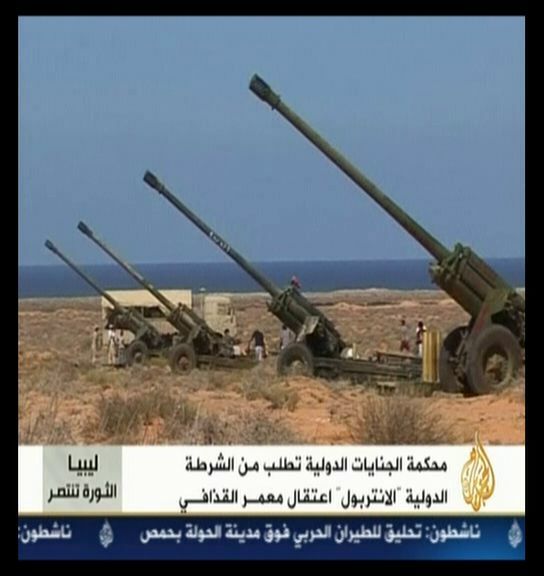 وذكرت وكالة أنباء "أسوشييتد برس" أن حكومة النيجر أعلنت أول من أمس أنها "ترحب لأسباب إنسانية" بمجموعة مكونة من 13 ليبيا، ليس من بينهم القذافي، كانوا قد وصلوا في أربع سيارات يوم الثلاثاء. وأضاف البيان أنه لم يكن هناك أي قافلة من 200 سيارة كما ذكرت بعض وسائل الإعلام. 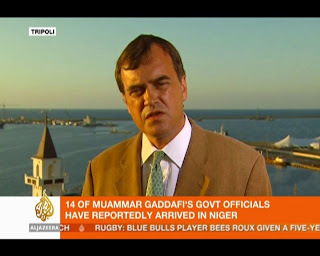 The [news] agency " Associated Press " reminds that the government of Niger has stated the day before yesterday that it would " receive with open arms for reasons of humanity " the group consisting of 13 Libyans, not comprising Gadafi, and who have entered [the country] in 4 cars on Wednesday. And they are agreed hospitality [on the basis of] not being here [with a] convoy of 200 cars like some [mass] medias remembered. The International Court of Justice urges International Police [organization] Interpol [to care for] the arrest of Muammar Gadafi. 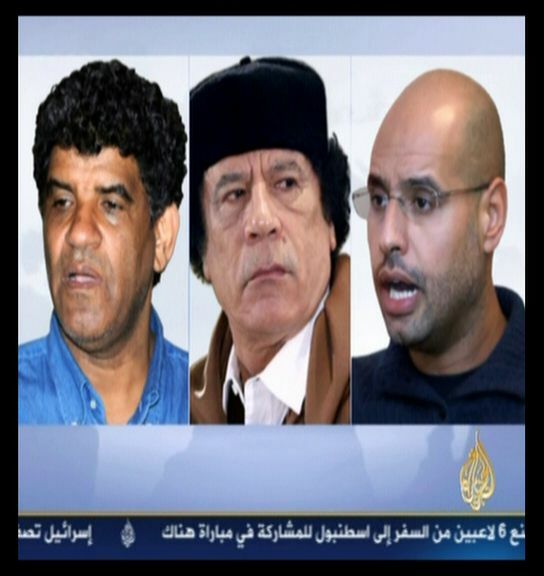 The existing warrant for Gadafi includes his once powerful son Saif al-Islam and Gadafi's chief of security services Senoussi. LIBYA - Chinese Weapons for Gadafi ?